Ps my Ukrainian grandfather was a T-34 tank driver during WW2 defeating Berlin in 1945. He told me the biggest problem with this machine was the unbearable heat inside the cabin going beyond 45 degrees C.
If he was alive today I would get him a G class for sure . He loved cars and spent most of his free time inside his garage working around his Lada. RIP granddad ! To explain why these type of vehicles are so popular within the Russian speaking population, it's quiet simple - a genetically defined Nostalgia for tanks. What do you do if you can't legally drive a tank on the streets ? You buy a G class ! The one Georg posted (K167KK...) would work for me. One question....how do you rotate the tires? This is beyond silly and beyond ridiculous. But I can already see a long line of russian thugs queuing at MB dealerships. That gray one with golden rims looks like carries a helmet on its roof. LOL. Mean looking one... Ah, that's Russia, that explains everything.. This crazy truck will be produced soon. 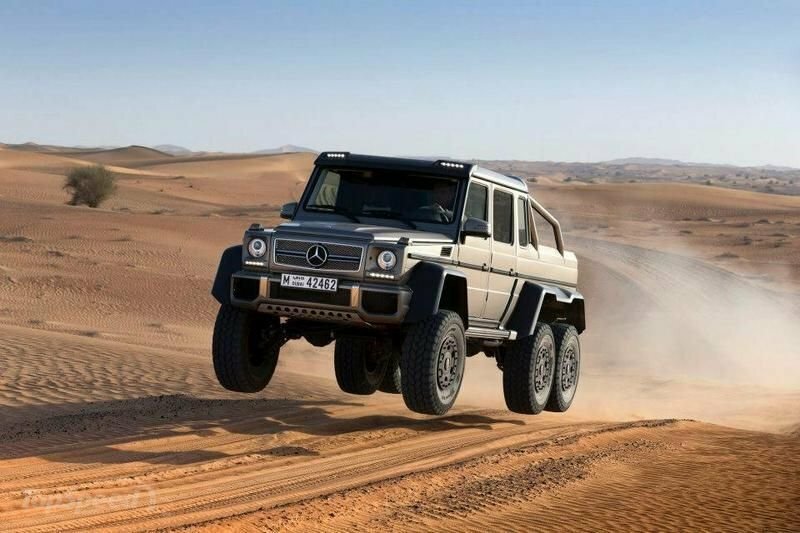 It's ridiculous to think a 6 wheel Mercedes truck that can run around 130 mph. I wonder how fast this car on tracks both on asphalt and off road.